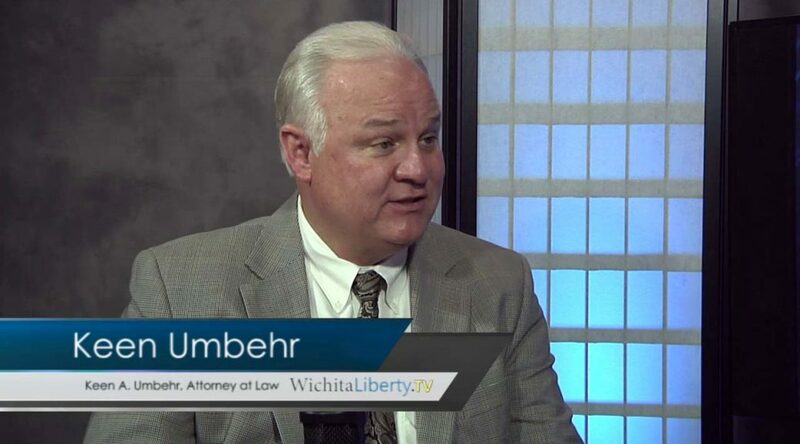 In this episode of WichitaLiberty.TV: Keen Umbehr is an attorney from Alma. Besides setting a precedent protecting free speech in the United States Supreme Court, he’s an advocate for criminal justice reform and a former candidate for governor. View below, or click here to view at YouTube. Episode 118, broadcast May 1, 2016. The U.S. Supreme Court case: Board of County Commissioners, Wabaunsee County, Kansas v. Umbehr. Small Town Showdown, the true story of Keen A. Umbehr, a trashman who dared to challenge the powers that be in his hometown of Alma, Kansas, population 850. Floyd Bledsoe speaking at Wichita Pachyderm Club (video). News coverage from the Lawrence Journal-World.